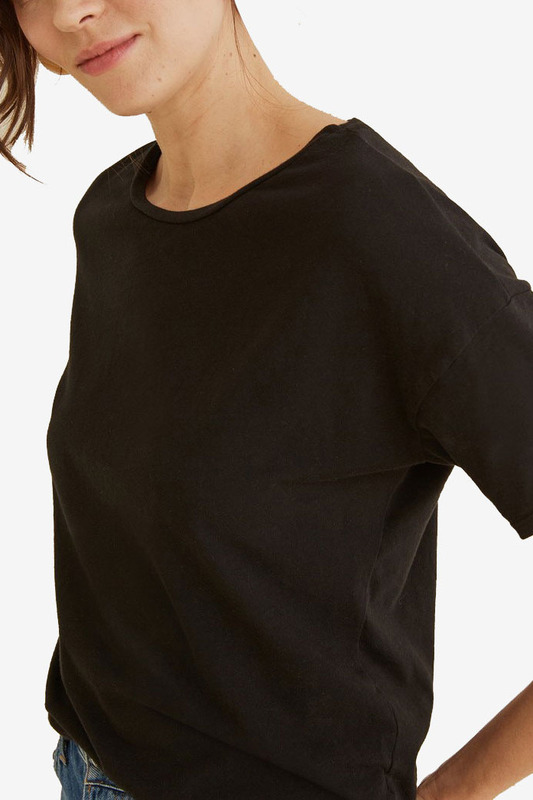 You don’t have dress go head-to-toe goth to appreciate a good black T-shirt. 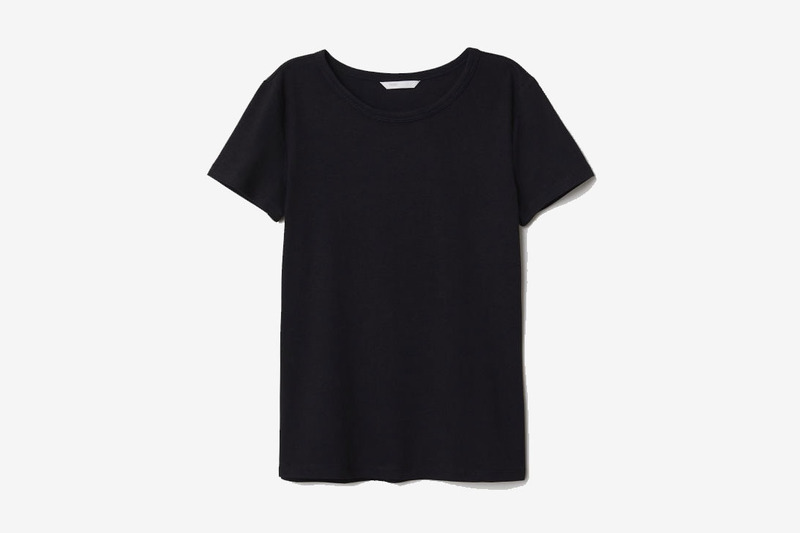 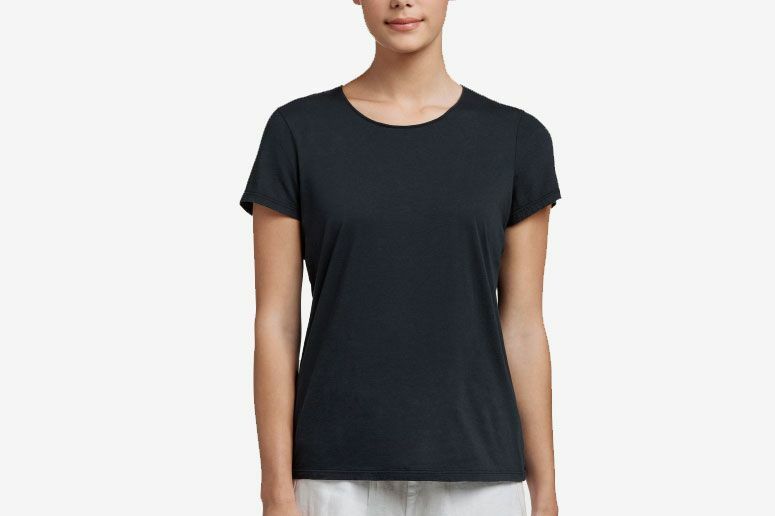 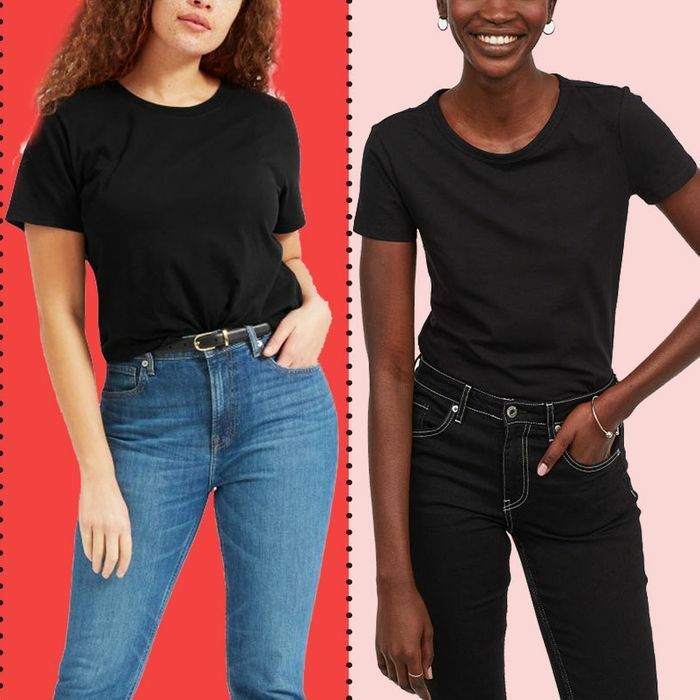 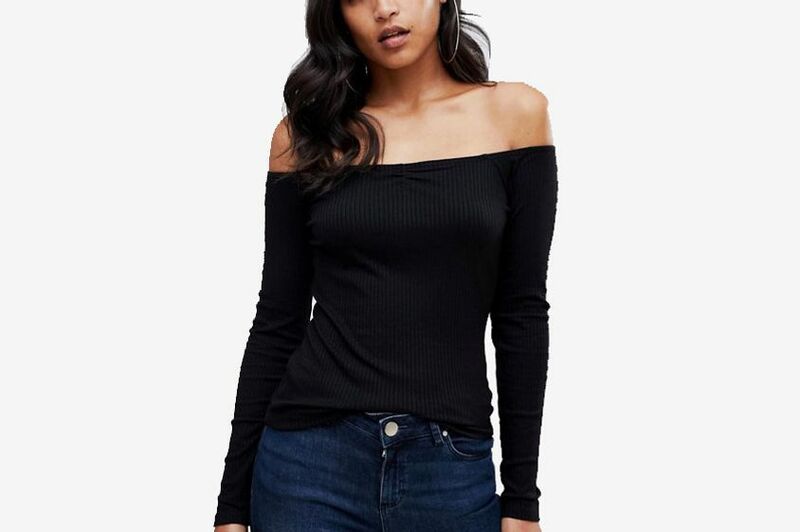 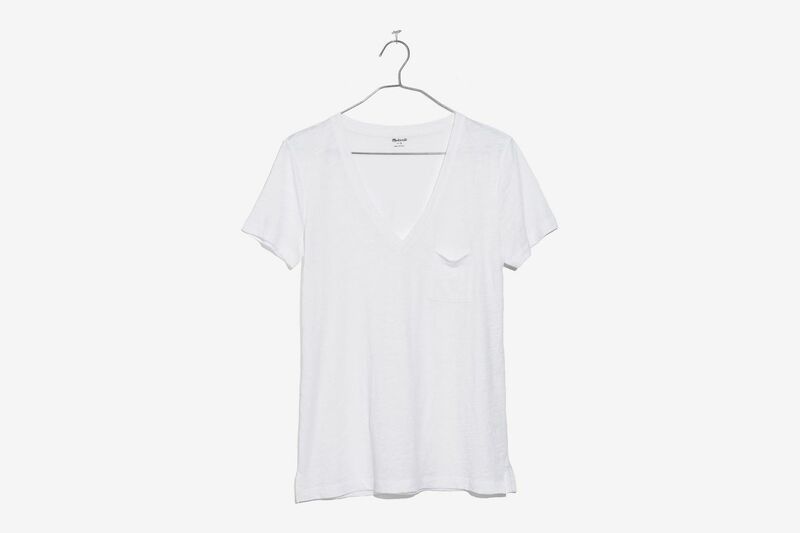 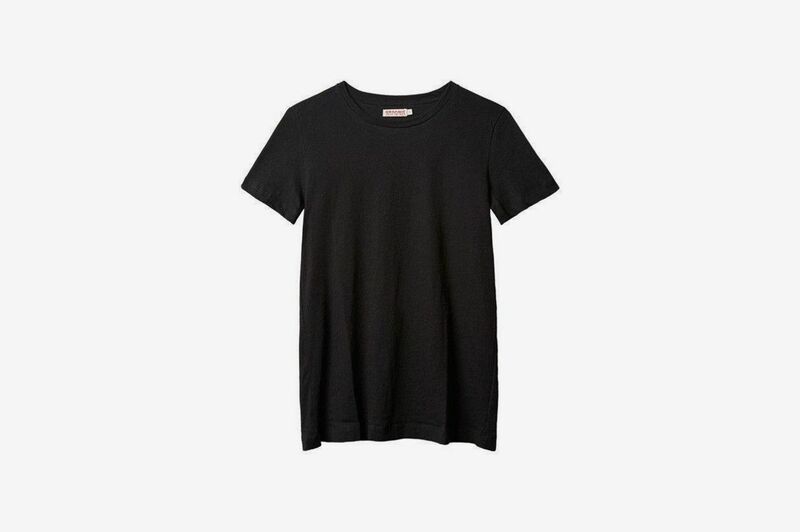 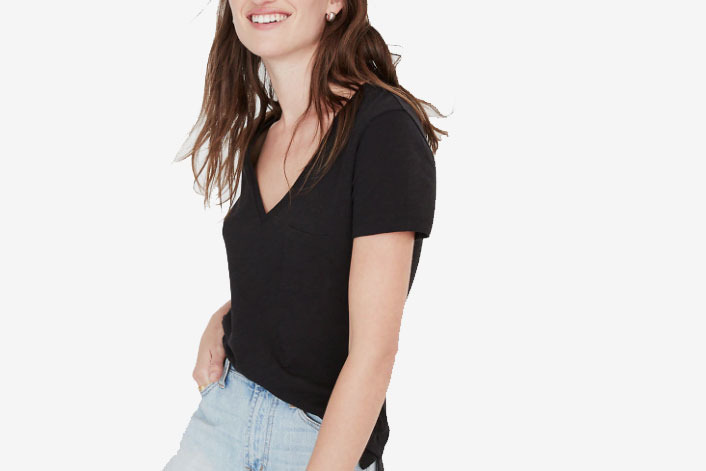 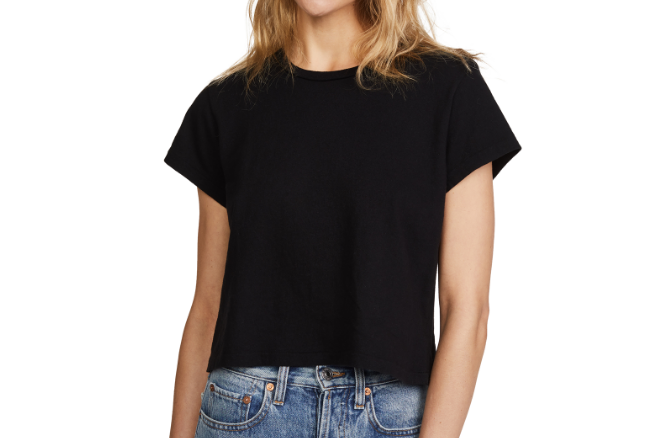 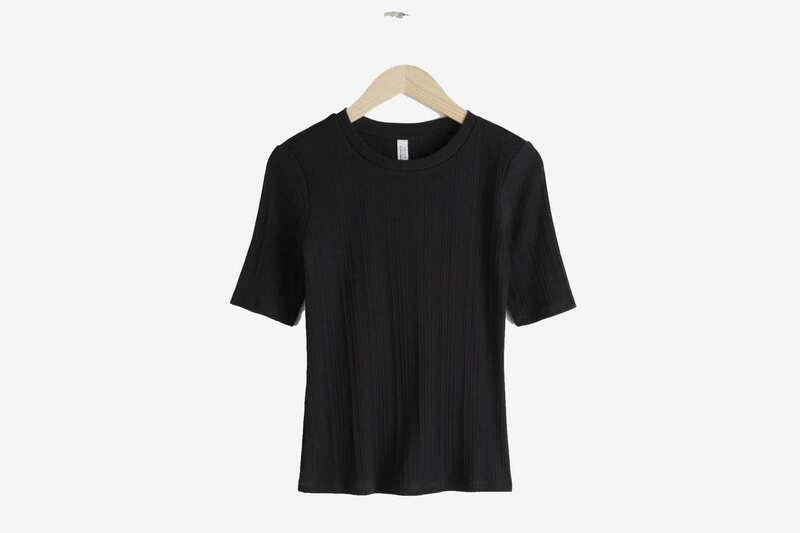 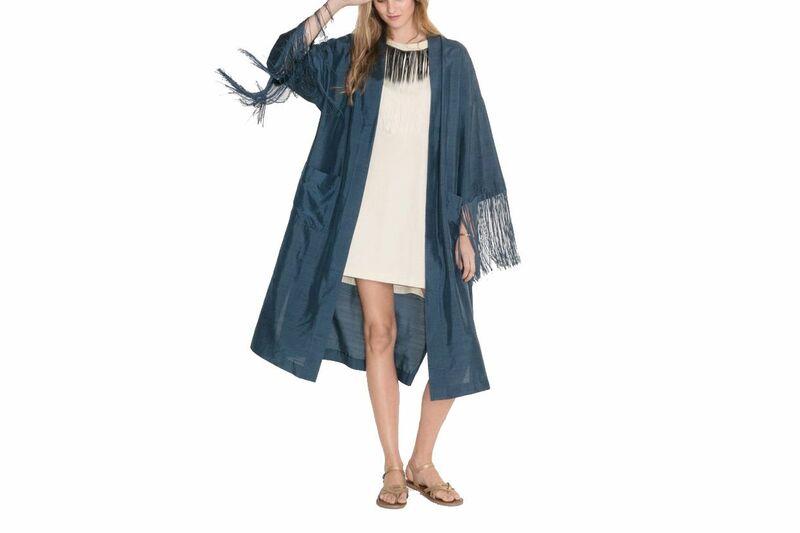 Like black jeans and black dresses, the T-shirts are pretty much universally flattering, but since there are a gazillion options to search through, we asked a varied group of stylish women which plain black T-shirts they own and covet. 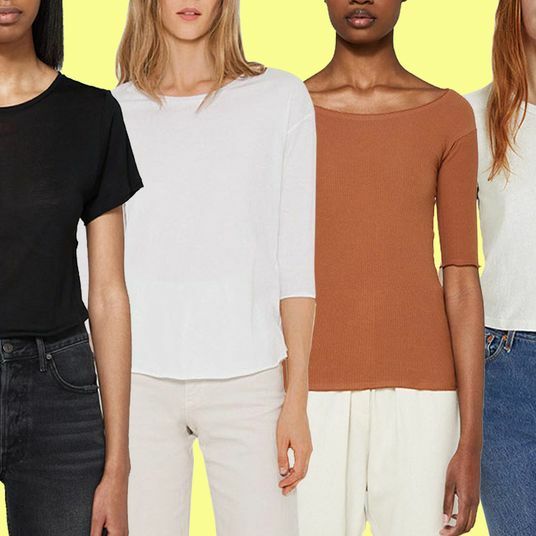 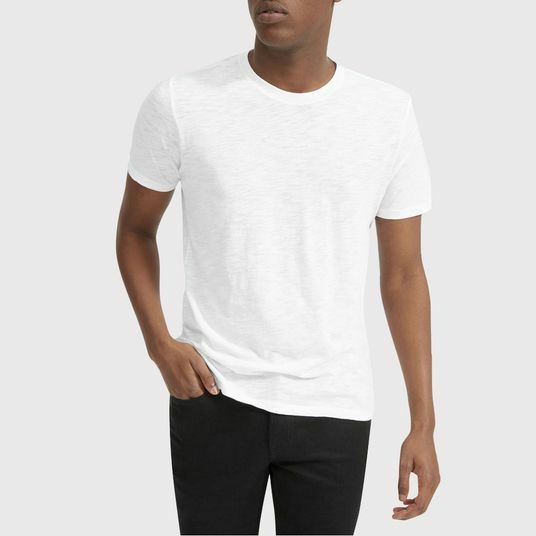 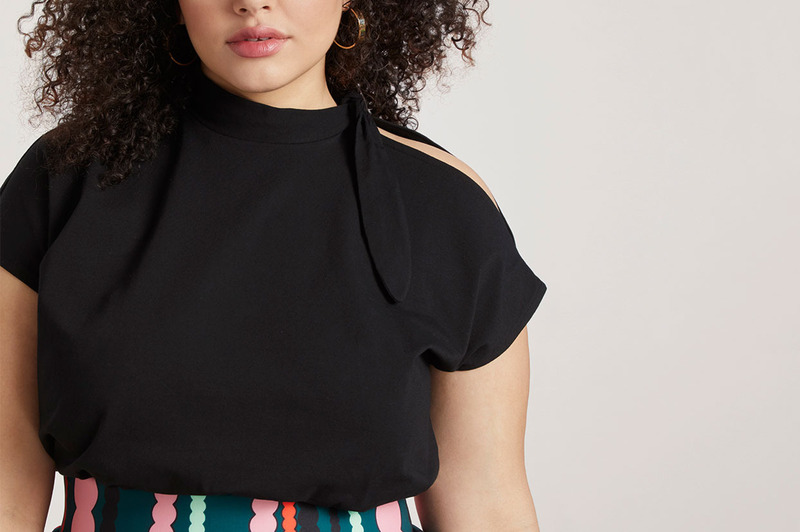 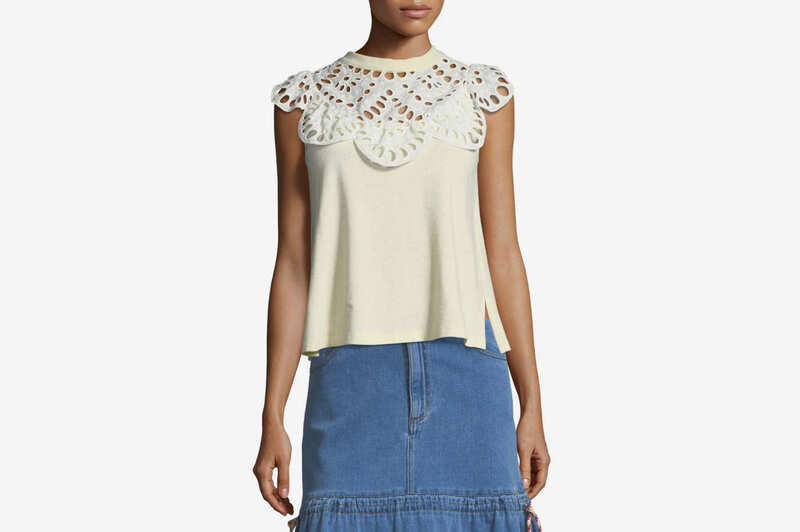 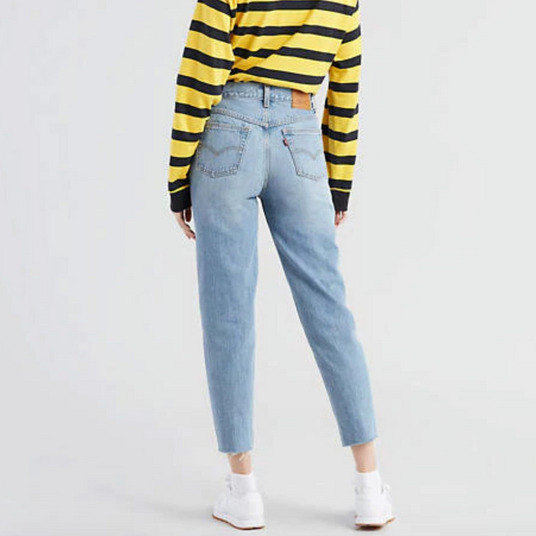 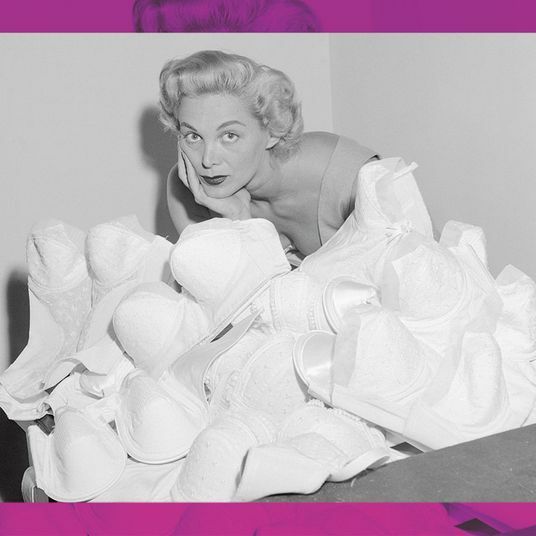 Whether you’re looking for something boxy and cropped, slinky and slightly transparent, or the perfect tee to tuck in to high-waisted jeans, we’ve got you covered. 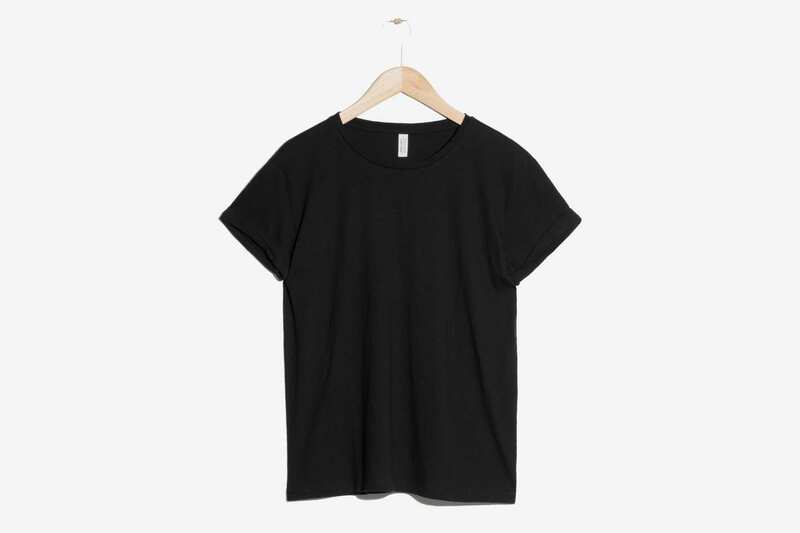 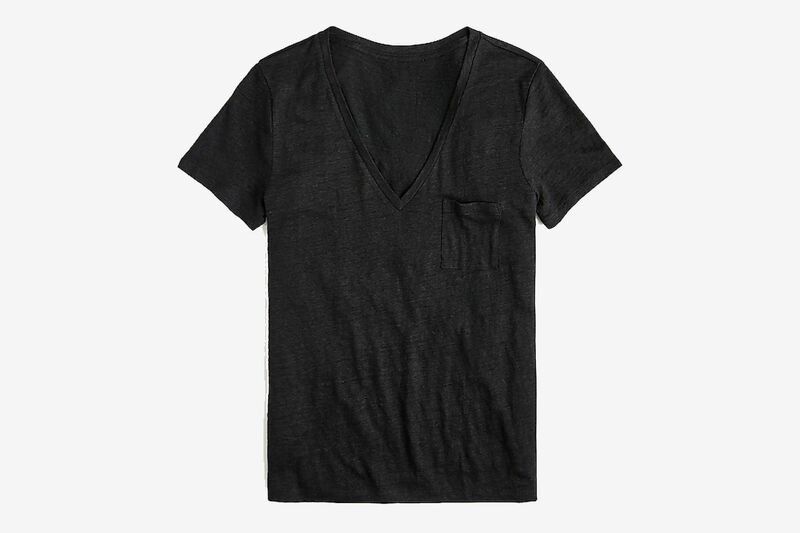 If you’re looking for the Toms of black T-shirts, this just might be it — and more. 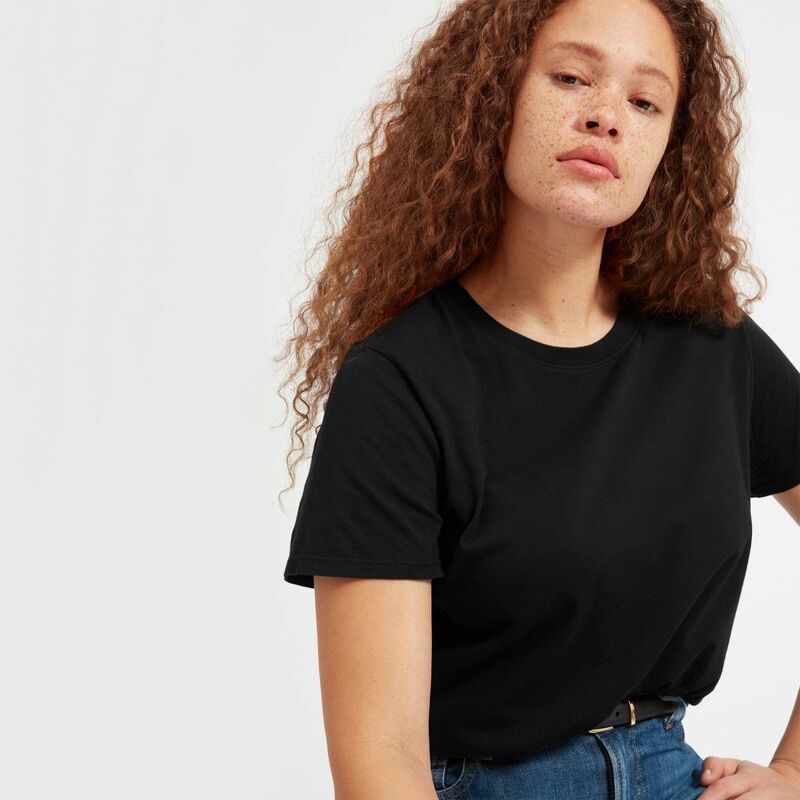 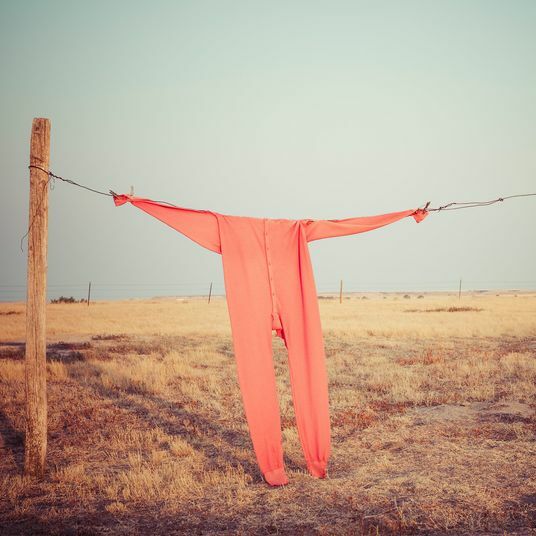 “The company plants a tree with every purchase and I like the length of the sleeves,” says Danielle Swift, an artist who works as a project manager for a digital retouching studio.